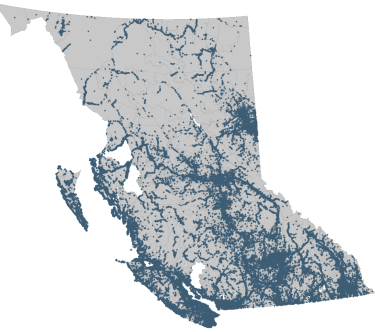 Assigning postal codes to provincial Voting Areas using fuzzy spatial overlap analysis to inform strategic outreach efforts. Effective outreach to supporters is the lifeblood of grassroots public advocacy organizations. Popular Change is a consultancy that brings the outreach experience of some of the most effective campaigners in Canada to public benefit organizations in BC. 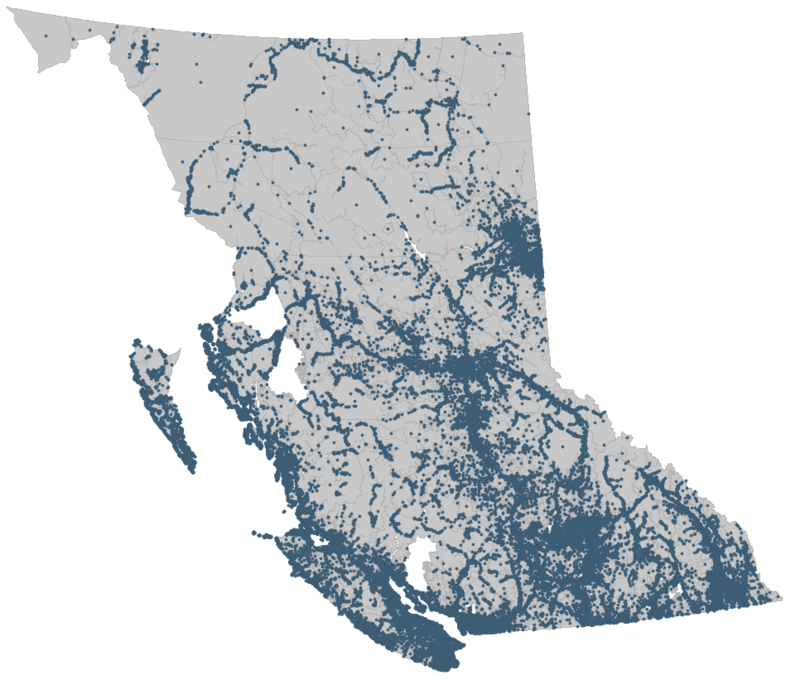 Popular Change wanted to further refine their spatial intelligence by developing a database assigning every postal code in BC to a provincial voting area. Voting Areas are the smallest spatial units used by Elections BC. Each household belongs to a Voting Area, which determines where they go to vote in provincial elections. 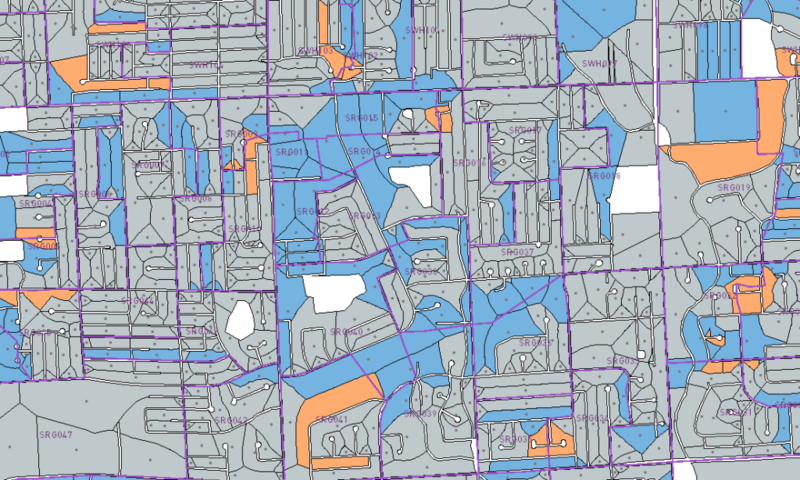 Geocology used the flexible and high performance spatial analysis capabilities of the open source PostGIS database extension to develop multiple methods for assigning postal codes to voting areas. 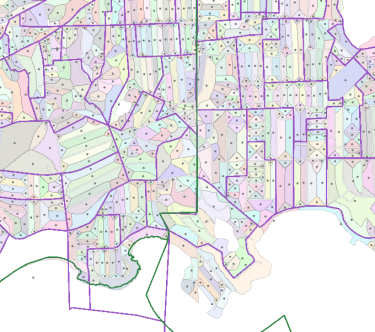 Unfortunately not every postal code fits neatly into a voting area. Three spatial matching algorithms were developed and assessed for trade-offs between comprehensiveness and accuracy in choosing a voting area for each postal code. 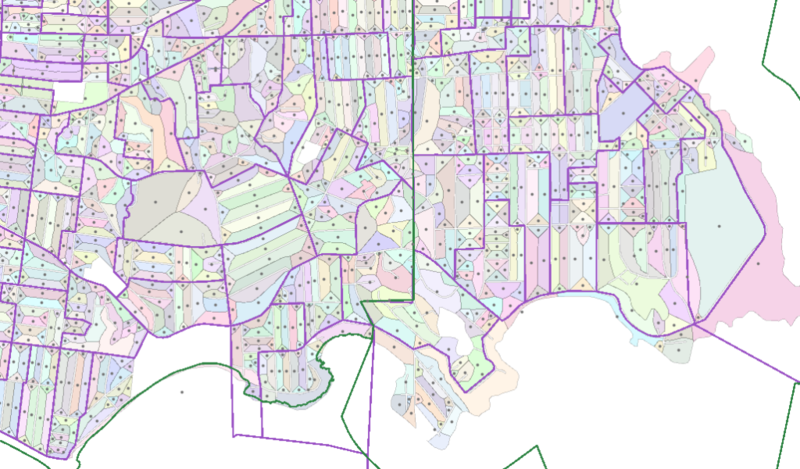 The user can choose which mapping to use depending on whether a best-guess is required for every voting area or if only the most certain matches should be included.